An FBI investigator must uncover the secrets of his hometown to solve a double murder in this twisty "page turner" that's "perfect summer reading" (Stephen King). "And that is how it happened. Can we stop now?" Kimberly Crepeaux is no good, a notorious jailhouse snitch, teen mother, and heroin addict whose petty crimes are well-known to the rural Maine community where she lives. So when she confesses to her role in the brutal murders of Jackie Pelletier and Ian Kelly, the daughter of a well-known local family and her sweetheart, the locals have little reason to believe her story. Not Rob Barrett, the FBI investigator and interrogator specializing in telling a true confession from a falsehood. He's been circling Kimberly and her conspirators for months, waiting for the right avenue to the truth, and has finally found it. He knows, as strongly as he's known anything, that Kimberly's story-a grisly, harrowing story of a hit and run fueled by dope and cheap beer that becomes a brutal stabbing in cold blood-is how it happened. But one thing remains elusive: where are Jackie and Ian's bodies? After Barrett stakes his name and reputation on the truth of Kimberly's confession, only to have the bodies turn up 200 miles from where she said they'd be, shot in the back and covered in a different suspect's DNA, the case is quickly closed and Barrett forcibly reassigned. But for Howard Pelletier, the tragedy of his daughter's murder cannot be so tidily swept away. And for Barrett, whose career may already be over, the chance to help a grieving father may be the only one he has left. 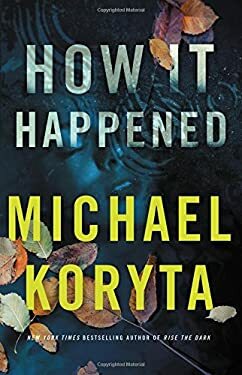 HOW IT HAPPENED is a frightening, tension-filled ride into the dark heart of rural America from a writer Stephen King has called "a master" and the New York Times has deemed "impossible to resist." New (227 available) BRAND NEW. Over 1.5 million happy customers. 100% money-back guarantee. Make your purchase count: support Better World Books' worldwide literacy partners.